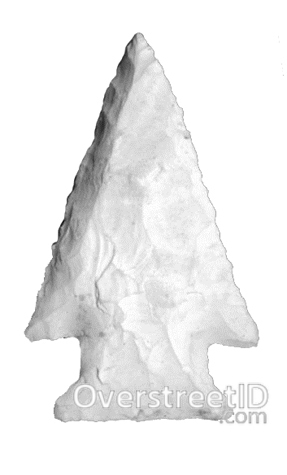 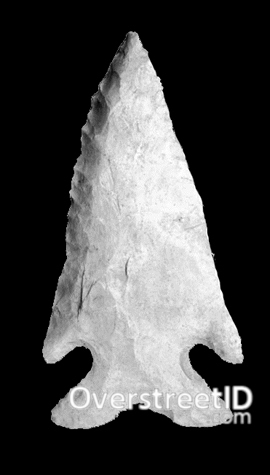 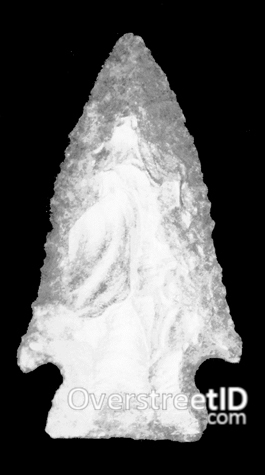 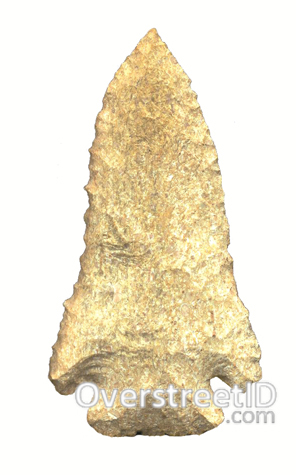 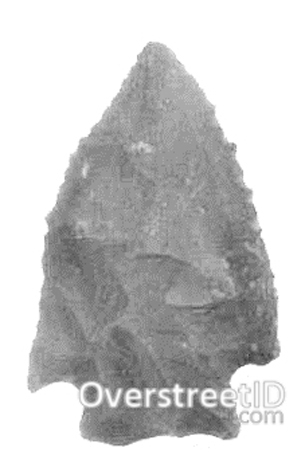 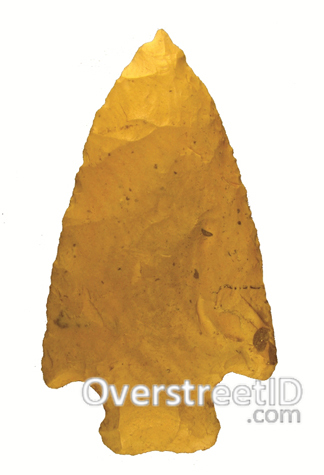 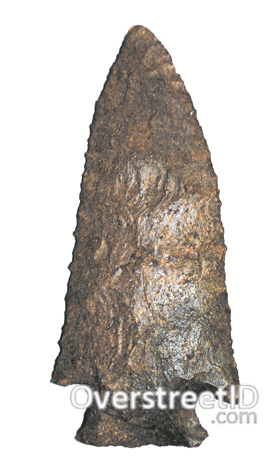 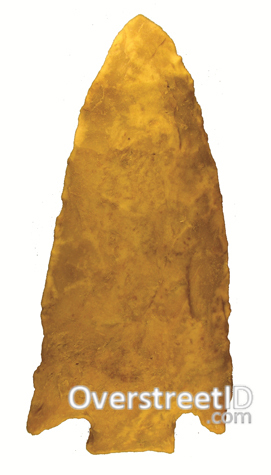 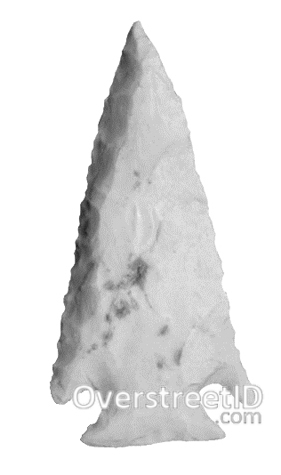 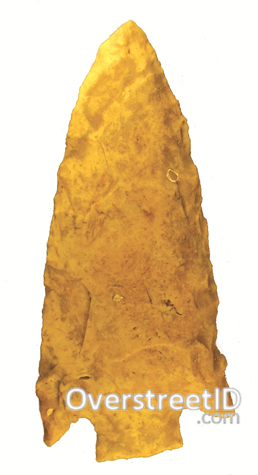 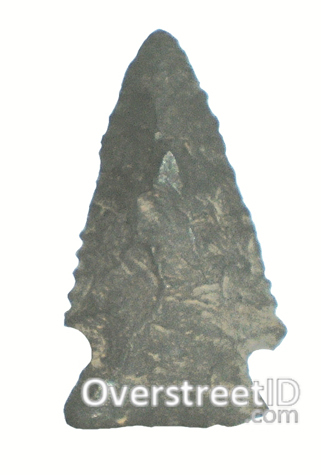 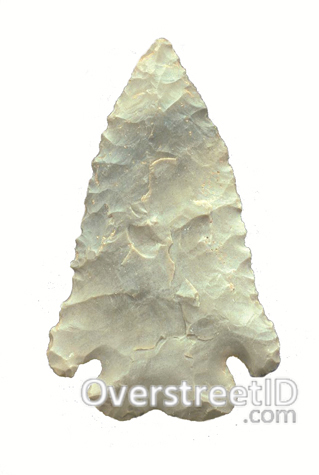 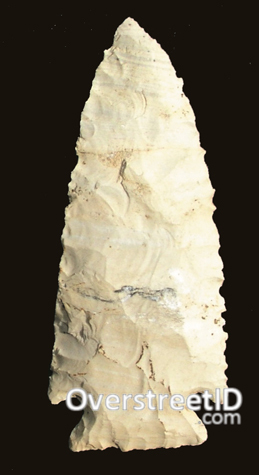 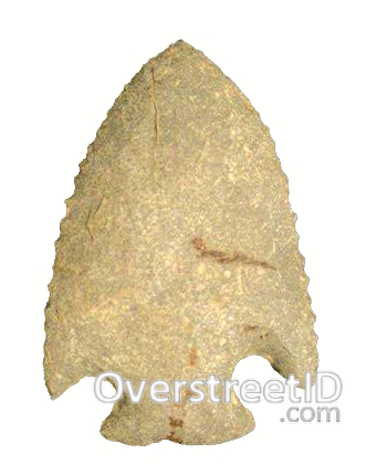 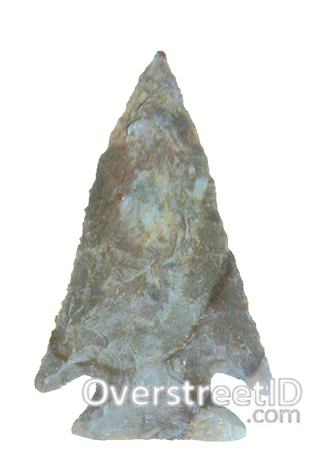 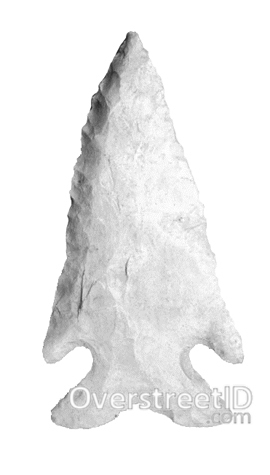 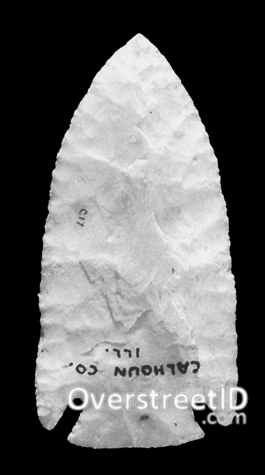 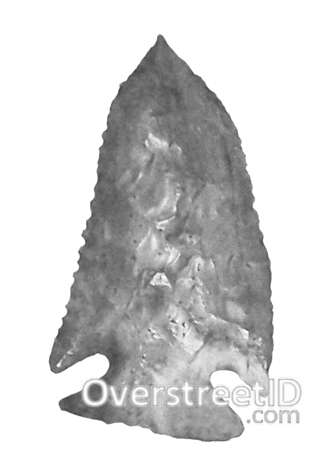 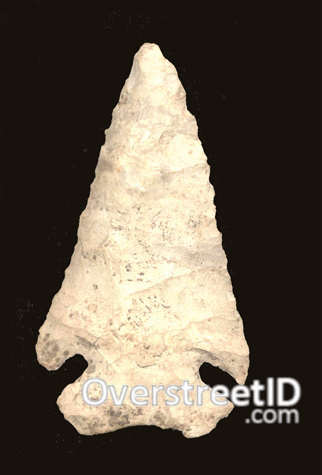 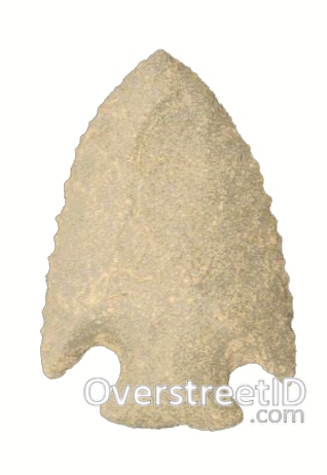 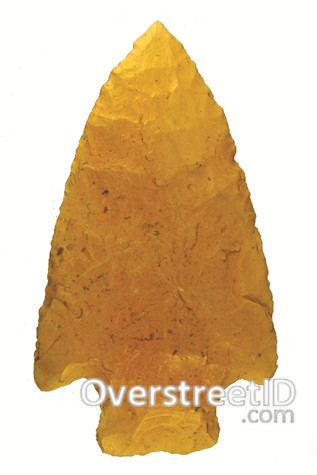 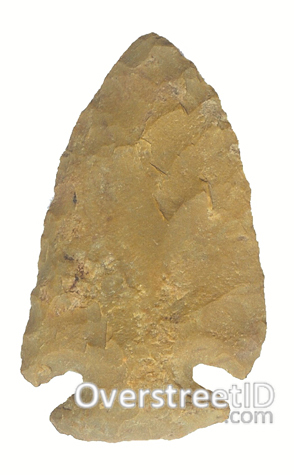 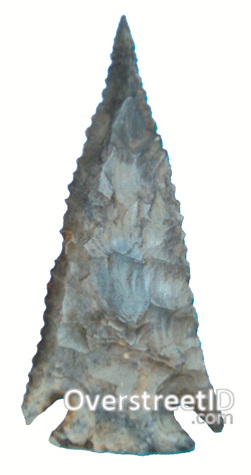 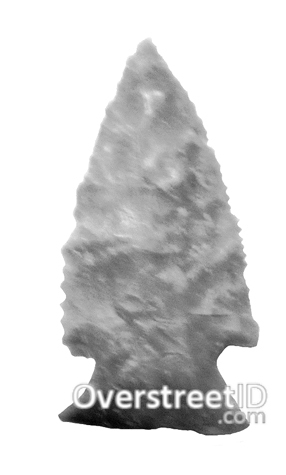 A medium to large size, corner notched point. 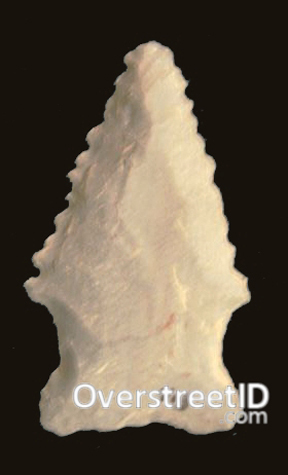 Blade edges can be convex to recurved and are finely serrated on many examples. 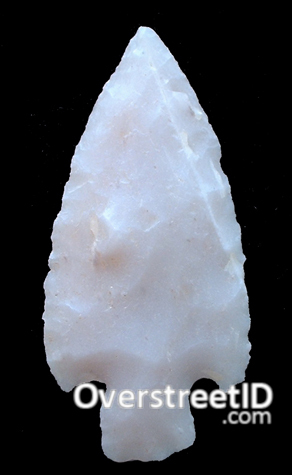 The base can be convex, concave, straight or auriculate. 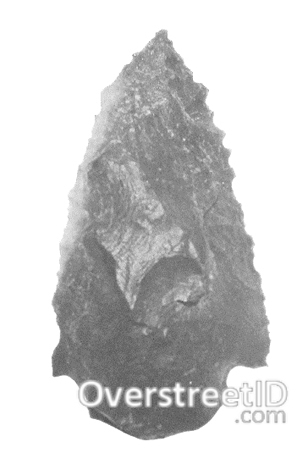 Points that are beveled on one side of each face would fall under the Lost Lake type.